The perfect event timetable in just a few clicks. Now available on blokks.co. 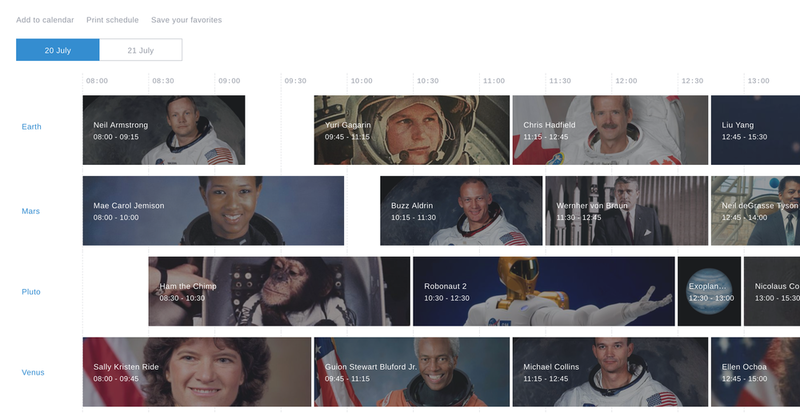 When visiting a festival or conference, the timetable is a pretty crucial bit of information. 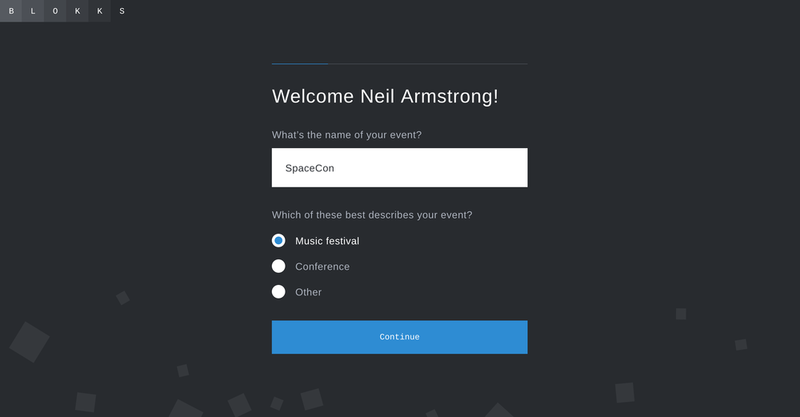 It helps you find your way around an event and figure out which acts you want to see. But for event organisers, creating and managing that timetable can be a difficult and tedious job. 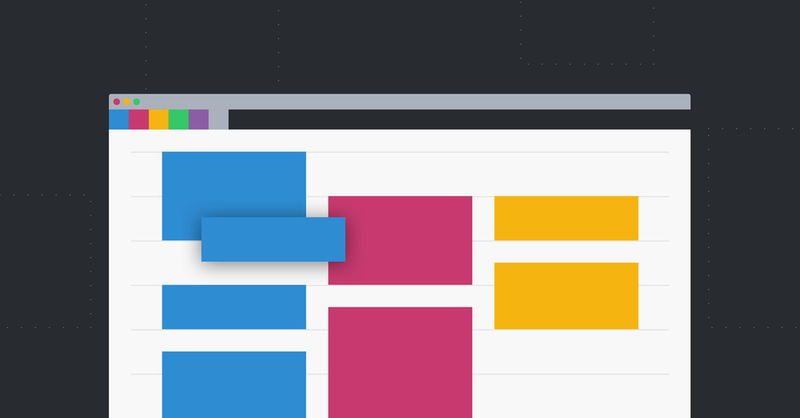 For developers who are working on event websites and mobile apps, it can be time consuming to build a responsive timetable from scratch. 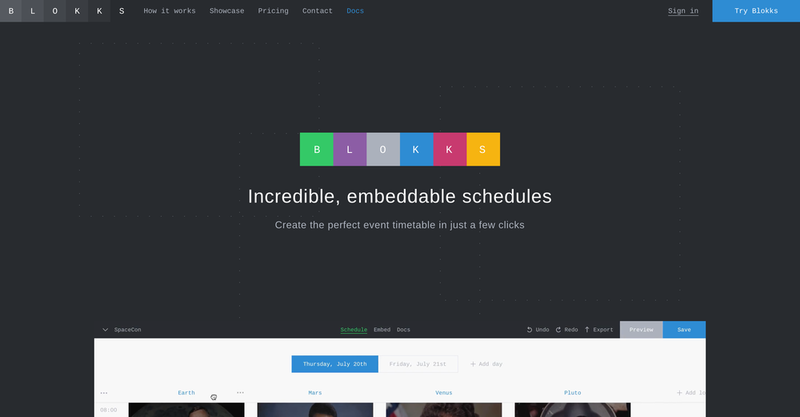 Blokks simplifies this by enabling event organisers to manage their schedule info on blokks.co and by offering a fully featured and customisable schedule embed that can be added to websites and mobile apps. 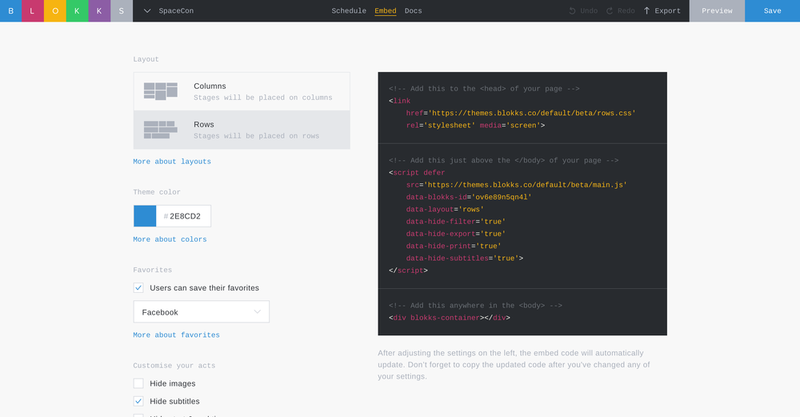 — With just a few drags and drops, events can add days, stages and acts(or speakers). 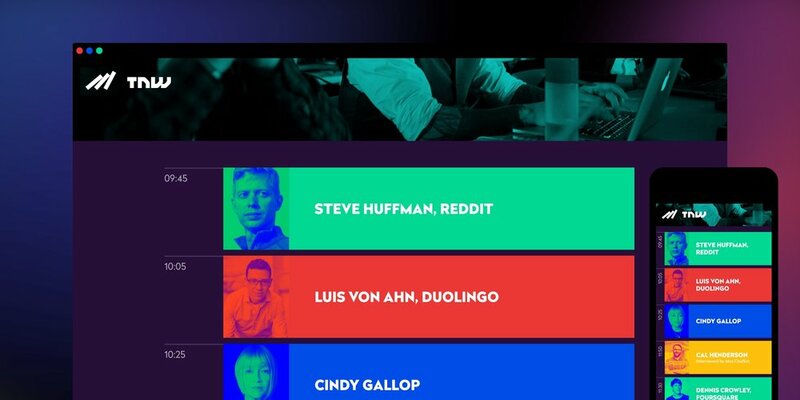 — The schedule can then be added to existing websites and mobile apps with a simple embed code. 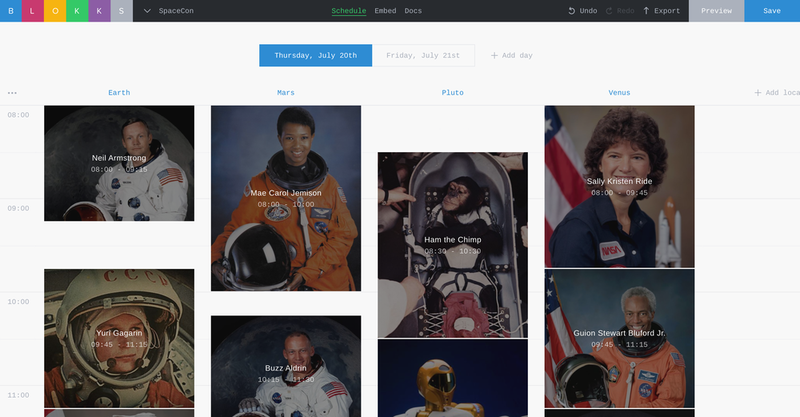 — This embed can be fully customised to match the event’s branding. 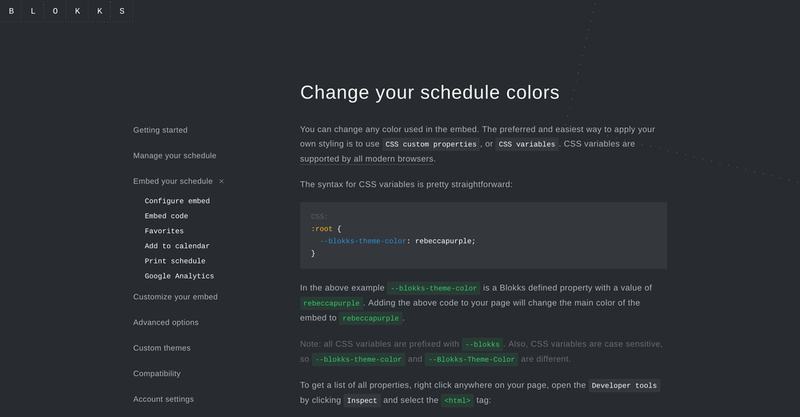 Full documentation on customisation is available to help developers on their way. 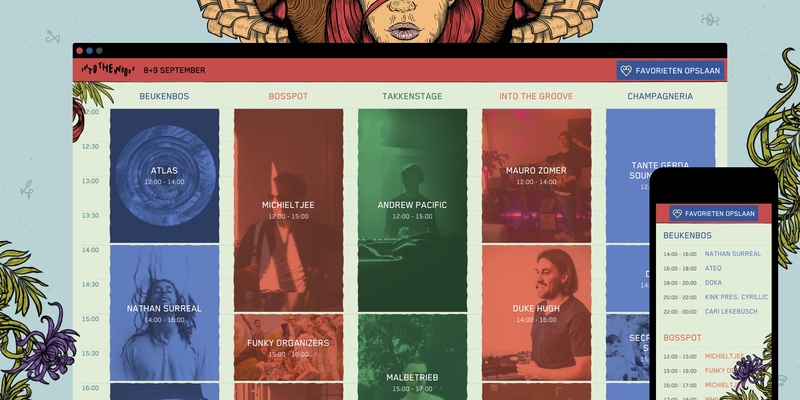 — Event visitors can access the timetable on multiple devices, save their favourite acts, get notifications when they’re about to start, and see which friends are going to be there. 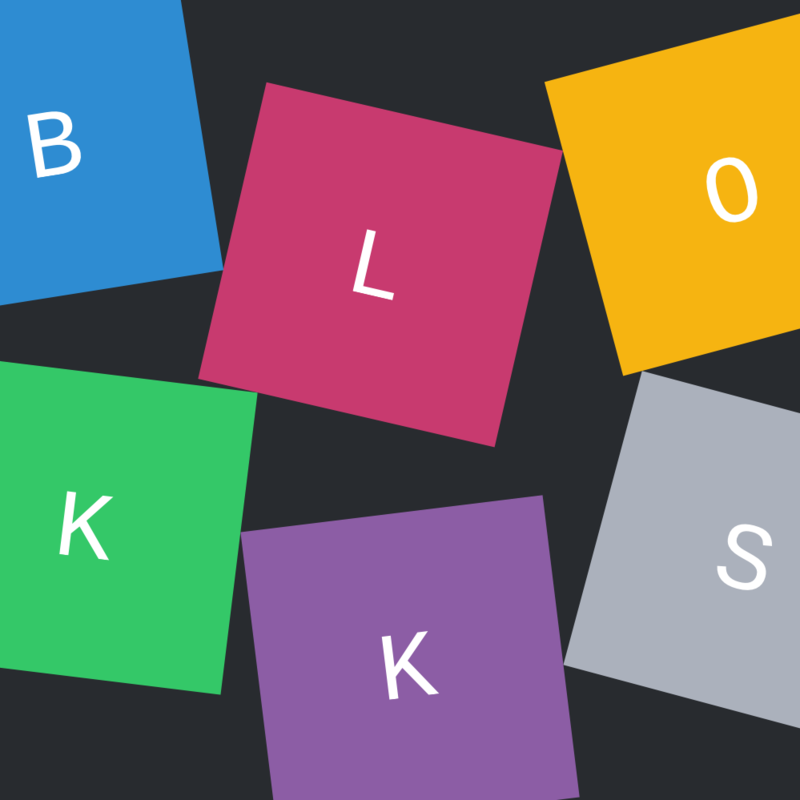 Blokks was founded by Patrick Pietens and Niek Dekker. A creative digital duo that has worked with the music industry in the Netherlands for several years. Previous startups they contributed to include 22tracks.com and ambie.fm. 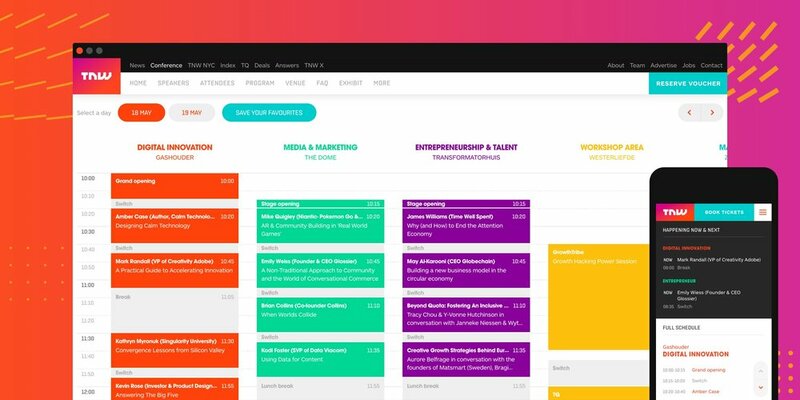 A nifty little tool that helps festivals and conferences create, customise and manage their schedules. The perfect event timetable in just a few clicks. Now available.